Understood is a website that provides information and support to parents and those interested in helping kids who have learning differences and attention issues. I found this website through the National Center for Learning Disabilities which is one of the well know non-profits that helped create the website. One of the features of the website is called Through Your Child’s Eyes. Which gives the perspective of the child’s experience with their learning issues. Here is a great one describing Sensory Processing Disorder. I have seen a child cover her ears and scream when she went into a gym filled with noisy kids. If you understood it is actually painful for the child to hear all the noise, it explains the behavior. 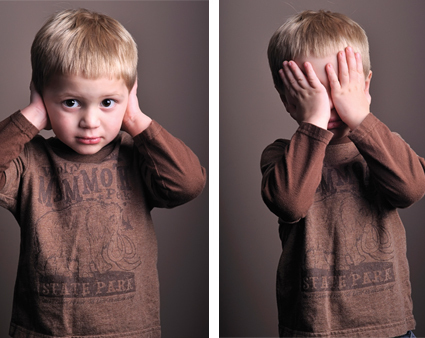 Sensory Processing Disorder does not just affect children with Autism. It can exist by itself or with other conditions like ADHD. This entry was posted in Blogging, Current Issues and tagged ADHD, Autism, Blog, Blogging, Learning Differences, Learning Disabilities, Sensory Processing Disorder on May 26, 2015 by Deborah Drucker. When I was a Cub Scout leader, one of our boys had ADHD and Sensory Processing Disorder. Since his parents were not with him at the meetings and some outings, we always had to be mindful of how he might react in certain situations. I think it’s great that there are resources now that can help people who are working with these kids. Back then I had to go on what his parents shared with me. Yes I think it is so important for people to be aware of these issues and I think it can help the kids to be aware of what triggers they have or sensitivities and learn how to cope with it better. Resources like this are important. they give me hope that we will eventually learn to deal with people regardless of the issues they struggle with. Thanks for talking about this. Yes I think it demystifies a lot of behavior and the knowledge helps the parents and the kids themselves cope.